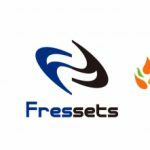 At Fressets, we pioneer advanced research and development in the Blockchain industry and deploy our findings in various products, including wallet solutions for the enterprise and education programs for software engineers. It's our responsibility to ensure that large corporations can introduce and leverage the technological benefits of Blockchain and cryptocurrencies in their existing businesses. We are a team of smart people with diverse backgrounds, focusing our effort on the work that has the biggest impact on our society. We believe in the prospect of Blockchain, and we look for those who are as equally curious and passionate about it as we are. Join us in the frontier of Blockchain innovation. Our mission is to build the infrastructure that enables Blockchain innovations to penetrate across our society. To deliver on our mission, we are committed to the most advanced technological research and development, and to deploy our findings as products that everyone can use with ease and safety. We also help more people to learn and acquire expertise in this industry by sharing our knowledge. Copyright(C) Fressets All Rights Reserved.